Sampling Oysters on a Saturday Morning. 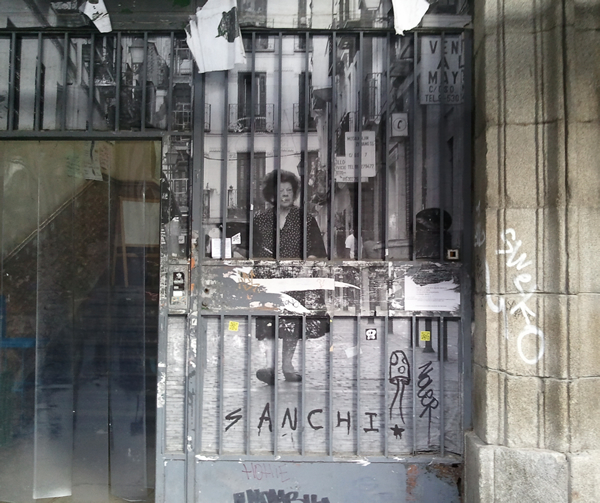 Quite some time ago you could read about the unclear future of the Mercado de San Miguel, the beautiful, thrilling but somewhat dilapidated market in Madrid’s city center. Almost two years after closing, the place has reopened and you better chalk up a visit on your shopping list. The new Mercado has lost a little bit and won a lot. Lost in the sense that walking past the stalls you will not encounter true Spanish produce-you-had-never-even-imagined-to-be-edible-in-the-first-place anymore. Tripe? Gone. Sheep heads? Nah. Paws? Go somewhere else. However, these kinds of foods (sort of) are still freely available in every other market, whereas the new and improved San Miguel offers a Spanish atmosphere you will not be able to resist. You can of course go in and do your shopping, but why not sample a chunk of that French cheese, chew on some Italian dolci, have a glass of Spanish vermouth or lunch with half a dozen oysters from Normandy while you’re at it. The inner court is actually one big bar packed with Spanish enjoying a wildly international offer of anything that has to do with food. At only 10 days after reopening the combination of gourmet market and bar seems to be a big success, looking at the hundreds of visitors buying, looking and eating on this drizzly Saturday morning. The building itself has improved as well. Already a very elegant and classic structure, the renovation made the space even lighter, bigger and cleaner. The glass façade that replaces the brick walls literally invites passers-by to check out on the buzz inside. Do not forget to walk around the entire market: there is a bakery hidden in one of the corners. The most central market of the city does not offer the usual grub anymore, which surely is a loss for everybody living in the centre and any tourist trying to get a glimpse of normal Spanish life. The new Mercado, on the other hand, does show a deep love for food and style and is still an excellent place to drag your friends to.